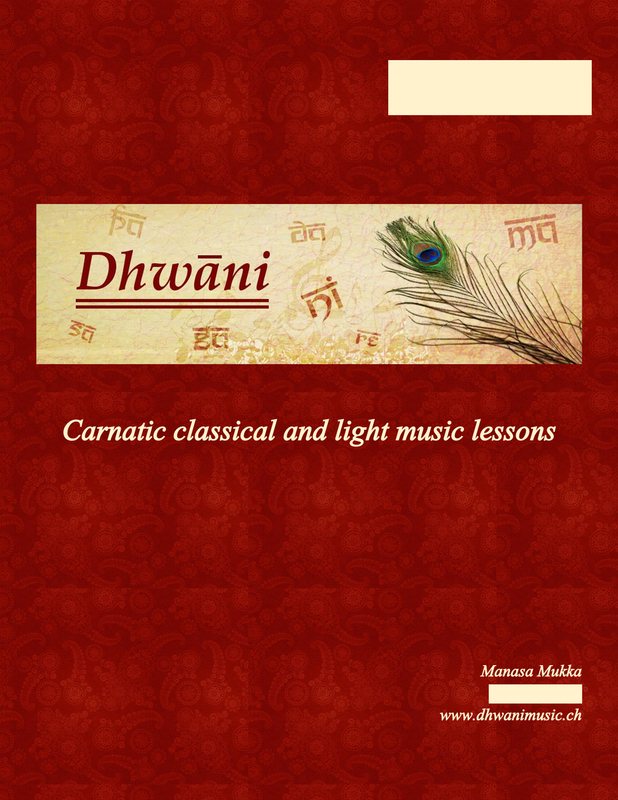 Dhwani is an initiative to spread the musical knowledge. Here you will find information about Indian classical music, particularly Carnatic classical music and about my effort to teach Indian music away from India. 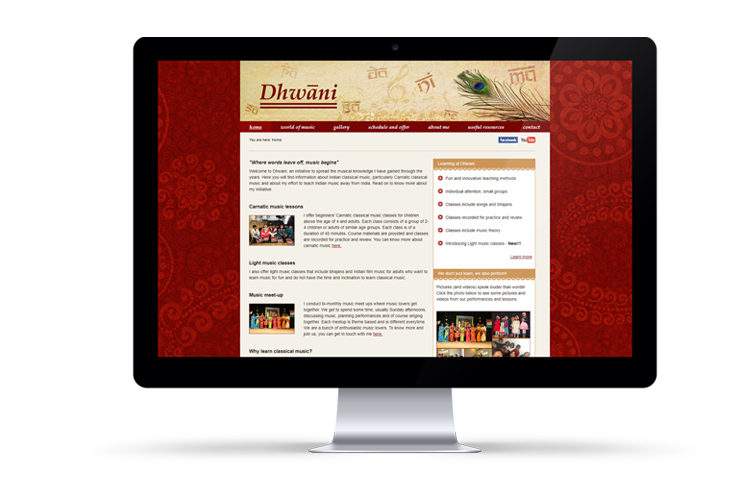 Designed to follow my own passion for classical vocal music lessons, I used warm colours and gave it a very Indian theme. The website is entirely hand-coded with HTML and CSS. The website complies to W3C standards for HTML and CSS and is accessibility tested.